The provincial government won't allow cannabis lounges or cafes for now, instead waiting for the federal government to sort out how to legalize edible forms that are less disruptive to other people. Options to puff in public are still far from being determined in Alberta. Smoking cannabis in public raises health concerns, Alberta Justice Minister Kathleen Ganley said, both for other patrons and staff of the hypothetical lounges. "When I go to a bar and order a glass of wine, it doesn't make the server or the patrons at the next table more drunk," Ganley said. She said the province will certainly look at lounges in the future but likely those would involve patrons consuming edible products. Edibles won't be legalized immediately with general recreational use on legal Oct. 17. 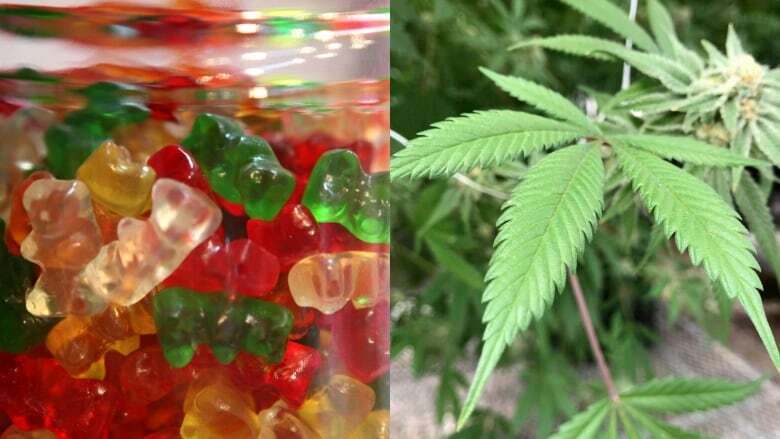 Legal sales of edibles products, such as candy, cookies and chocolates, are being delayed as authorities are developing regulations, including around managing the potency of the psychoactive element, THC, in the edible goods. Such regulations may take another year. That leaves few options for consumption beyond puffing in public — a practice that can disturb other people — and one that's illegal in Calgary. In Edmonton, smoking cannabis has been barred in public parks but is typically permitted where people are allowed to smoke cigarettes. This week, Calgary pulled the plug on proposals for so-called pot parks where people could smoke cannabis once it's legal. Mayor Naheed Nenshi said he takes responsibility for the failed idea, which garnered "significant" outcry from people who live near the proposed sites. He said he was trying to offer options for people in apartments, condos or hotels that have barred indoor consumption. "We haven't given them anywhere where they can consume a legal substance," Nenshi said. "So I thought, well, if we have a series of these things across the community — 'cause we don't want people smoking a joint walking down the street — would that make sense?" Instead, Nenshi said people will have to find their own places, which he trusts they will. For now, he's set the problem aside. "We'll get there," he said. "I'm not that worried about it for Oct. 17. We've got bigger fish to fry." With files from Dave Gilson and Radio-Canada.